There was humming in the restless Palace air – girls and boys alike were slipping off denim jackets as they prepared themselves, shaking out the last vestiges of cold that had been nipping at ripped knees. Each of us had clamoured to get there. We’d counted our dollars on the train to get to the party, and now the time had come to see what all the fuss was about. In a 10,000-strong crowd, I stood with the lucky and pushy few who had sacrificed afternoon plans to secure spots right by the stage; the pain in my feet was worth it. 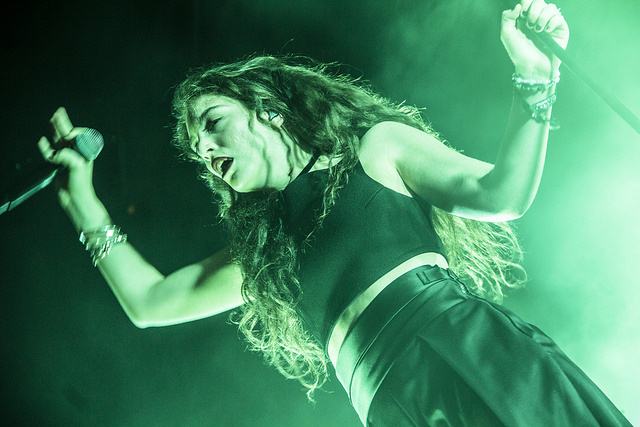 Lorde emerged from the swathes of black curtain to rapturous applause, screaming and dancing of all skill-level. Clothed in black herself, she moved less like the gothic ghost at the end of a long corridor and more as if tonight was her last night partying with friends before moving to a new city. Despite the show being emblazoned with the name of her latest album Melodrama, the set featured many ‘oldies’ from her debut of Pure Heroine which meant that at least everyone could rouse themselves for a rendition of ‘Royals’. The new material such as ‘Supercut’ and ‘Sober’ didn’t fall flat though, as the more up-tempo beats meant that despite less dedicated fans not knowing the words, they could at least do the human pogo stick move of jumping up and down to show they were still enjoying it. 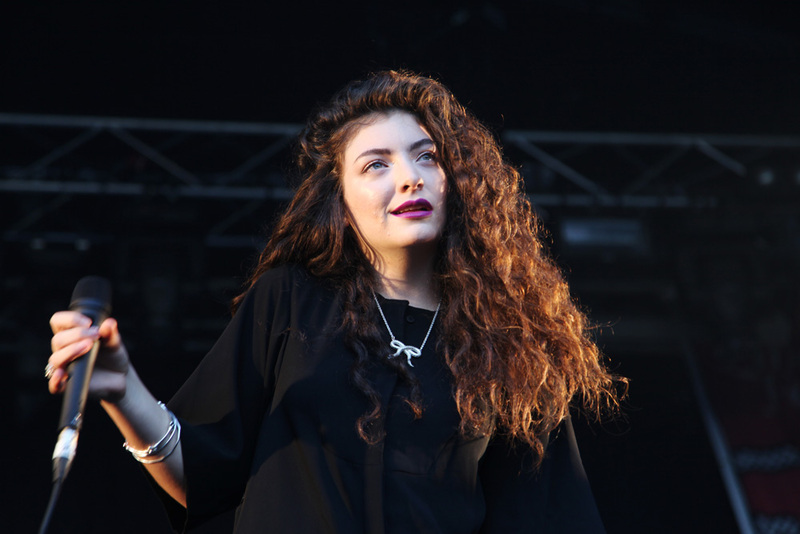 Lorde also surprised by taking some of the production into her own hands. At one point stopping to play the Xylophone on the floor kid-like to ‘Buzzcut Seasons’; a juxtaposition to the growing maturity in themes for her latest album, which she describes as ‘a record about a wide-open heart.’ These moments punctuated the whole set, with the flamboyant whimsy of three costume changes and her wild arm flailing serving as a constant reminder that despite her pop star status, here was a 20-year-old out for a good time. VERDICT: The concert was a valiant first effort at proper pop star production and was well worth the trek to get there. I can see Lorde’s future gigs only growing, as her ‘sound of tomorrow’ continues to resonate. The sun was starting to light up as we walked home with tired little laughs. We’d spent the evening in a perfect place. Haha great review! Totally agree about the Phil Collins cover! !